Your build (the relationship between your height and weight) can impact the cost of buying life insurance. But if you’re looking to drop a few pounds before applying, keep reading to find out why this may not be the best strategy. Being very underweight or overweight can create health issues. Having health issues, or a build that can be an indicator for developing health issues, poses a risk to the insurance company. They want to insure you, but in order to do so, they need to balance out the risk. They do this by raising premiums for people who fall into certain classifications. The cost you pay for life insurance is determined by your risk class. Your individual health and lifestyle factors—examples here could be diabetes (health factor) or scuba diving (lifestyle factor)—can both positively and negatively impact your risk class. For example, if you don’t smoke and have no negative family health history, your risk is lower than that of the average person and can qualify for a better risk class than Standard. 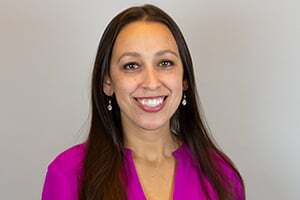 If your mother died of liver cancer before age 50 and you binge drink, your risk will be considered higher than that of the average person and may be “substandard”. 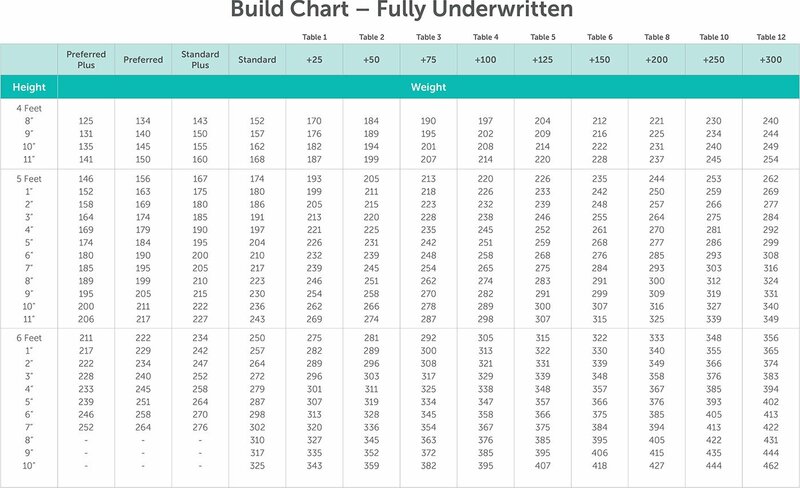 Every life insurance company has their own Build Chart they use to evaluate applicants. If your build is average, it becomes a neutral factor in determining your risk class. This means it has no impact on your price. It’s not uncommon for people to think I’m planning on losing 20 pounds this year. I’ll wait to buy life insurance until that happens. While these intentions may be good, not everyone ends up losing the weight they hope to and the purchase of life insurance keeps getting pushed out. Buying life insurance isn’t something you want to delay. Your costs increase as you get older. Health issues may creep in. Also, the longer you wait, the longer your loved ones go unprotected. What we recommend instead is to buy life insurance as soon as you need it. Then later on if you lose weight you can re-apply and see if you can lower your premiums. Quotacy’s online quoting tool calculates height and weight so you’ll be able to see how they impact your price. I’ve Lost the Weight; Now What? Whether you currently have life insurance or not, there is something you need to know about losing weight and applying for life insurance. Life insurance companies want to see a stable weight history for at least 12 months when they calculate premiums. If you lose 10 or more pounds within a 12 month period and apply for life insurance, most insurance companies will cut that amount in half when calculating how much your coverage will cost. For example, if you weighed 200 pounds on January 1st and apply for life insurance on July 1st weighing 180 pounds, the insurance company will consider your weight to be 190 pounds. Life insurance companies also look at medical records. These records can show if an applicant has a history of weight fluctuation, which may affect their decision-making. If you have over a year of stable weight loss, life insurance companies are much more willing to offer you the better risk class (lower pricing). Keep in mind, however, all other factors—like your age—are still considered. There is no cost to apply for life insurance and no fee to walk away at the end of the process if you decide to wait. Check out our online quoting tool to get an estimate of what your life insurance policy may cost. Quotacy’s online quoting tool calculates height and weight so you’ll be able to see how they impact your price, but more complicated issues such as diabetes or heart disease are not factored in. A computer cannot accurately quote these conditions because there are so many variables to consider. Apply online and your Quotacy agent will be able to review your application before sending it into the insurance company and confirm that the company you chose to apply to best fits your needs and budget. If there is an insurance company that will give you a more favorable price, your agent will provide you these options. Your agent will also be able to give you a more refined quote to set realistic expectations. Your agent will keep you updated through the process every step of the way. Once you get an official policy offering, if you aren’t satisfied, you are not required to accept and there are no fees to walk away. We want to help you get life insurance coverage to protect your loved ones and will advocate on your behalf. Start the process of getting life insurance by running free, anonymous term quotes now.